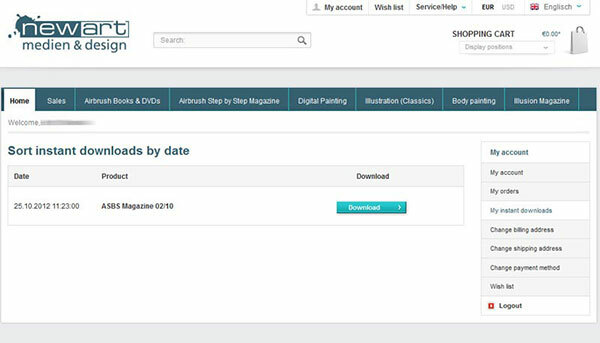 Add your selected pdf-magazine (eBook) to the shopping cart. Add further products or select “View shopping cart”. 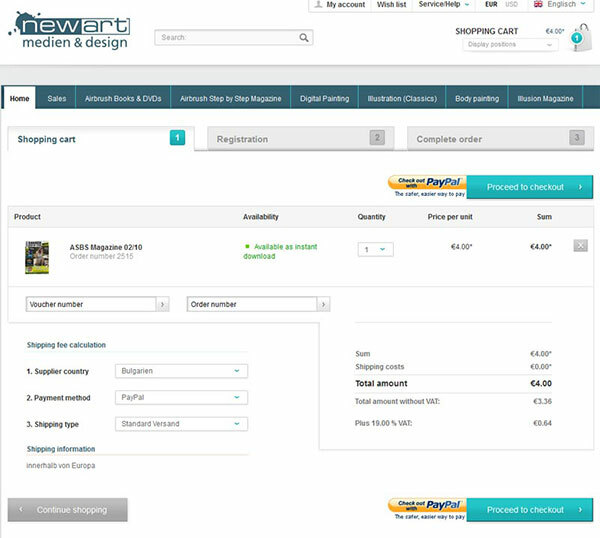 Select “Proceed to checkout”. 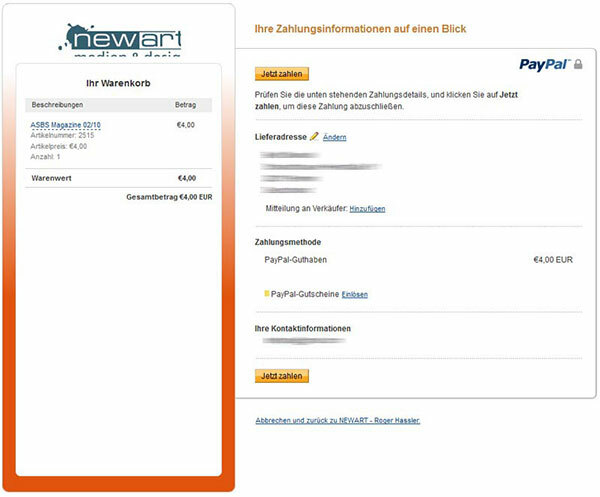 Instant downloads can only be paid for via PAYPAL. 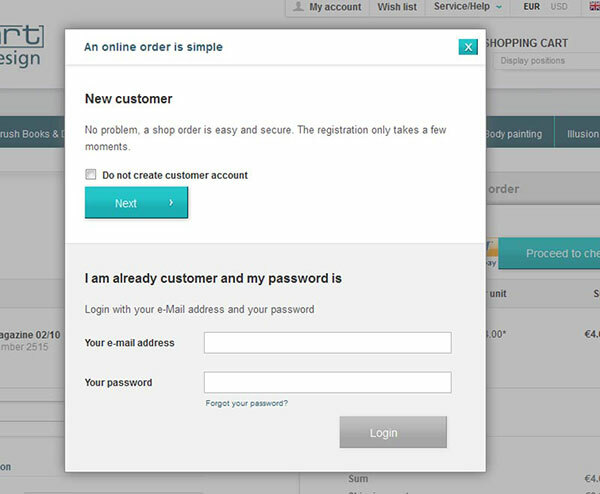 Please log in or select “New customer” (“Next”-button) to register and to create your own account. Please fill in your data and complete your registration. 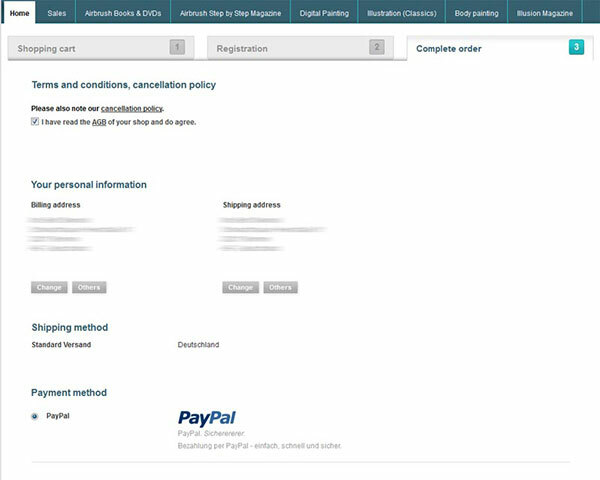 Select PAYPAL and check mark the AGB advice. After that please click on “Complete payment”. 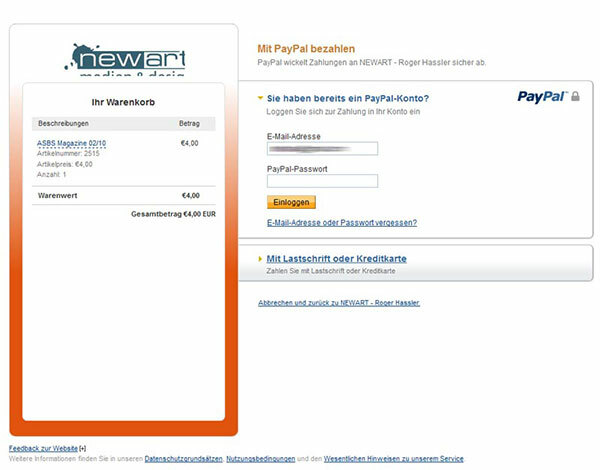 Now you will be forwarded to PAYPAL. If you already have a PAYPAL account please log in. Select “Pay now” to complete the payment process. In the following you will be redirected to the shop. 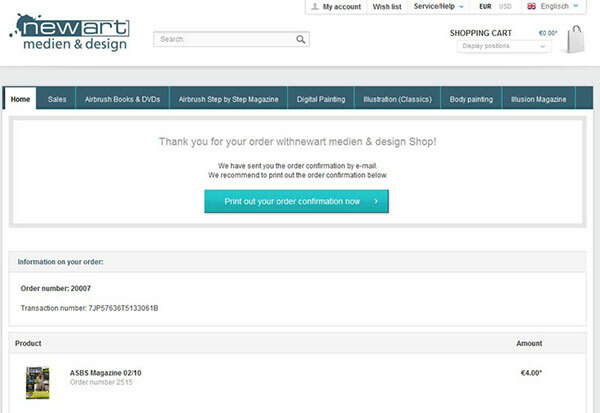 There you have the option to print out the order confirmation. 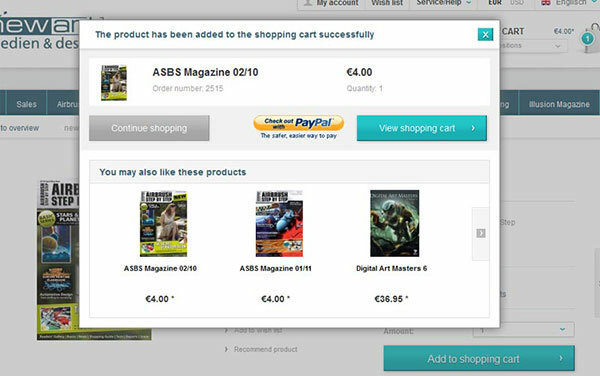 In the right menu chart you can select “My account”/”My instant downloads” to download your purchase. Click on “Downloads” to view the pdf in your browser or select the option “save (link/target) as…” with a click on the right mouse button to download the file on your hard drive.